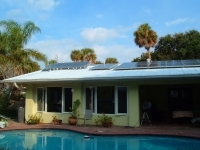 This site monitors a deep retrofit, zero energy home located in Cocoa Beach, Florida. Originally built in 1957, it is a 2000 sqft, four bedroom/two bath home with an office space and Florida room. It is occupied by two adults and periodically by two children in college. Energy consumption is offset by a 6.5 kw photovoltaic system. The home has double pane, low-e vinyl windows (U=0.29, SHGC-0.24). Walls are 8" concrete block with EIFS R-5 exterior wall insulation, R-19 ceiling insulation and a white metal roof. Heating and cooling is provided by an aging 10 SEER, straight cool split system w/gas furnance and supplemented with a centrally located 9,000 Btu/hr SEER 26/HSPF 12 minisplit heat pump. 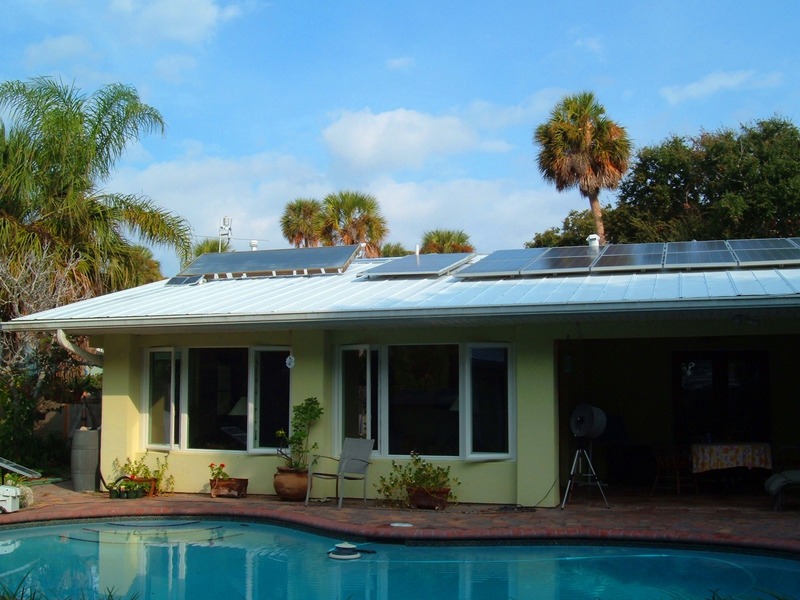 A 20,000 gallon pool is DC pumped by a 450 watt pv array. Additional home features include all tile flooring, CFL lighting, whole house fan ventilation and gas appliances. In late September 2011, a plug-in hybrid vehicle (Chevy Volt) was added to the house load. Additionally, a 2nd hybrid vehicle (Ford Cmax) was added in August 2014.Data collection began in November 2010.